Building lifestyles requires vision, commitment and an on-going passion for redefining city space. For Savannah, these are just some of the qualities that make its developments stand out. Savannah is uniquely positioned to create urban infill communities with appeal for their individuality as well as their enduring style and quality. On every project Savannah works in close collaboration with its affiliated teams of designers and architects to create grace, elegance and excellence in both appearance and performance by eliminating construction problems and maximize floor space. The results of these efforts combine traditional techniques with a modern-day understanding of sophisticated living to provide class and functionality in prime urban communities. We provide first-class construction management services to a broad range of clients. Because we are committed to client satisfaction, we focus on building strategic partnerships and collaborative solutions that last throughout the construction of your project. Our people are experts in managing everything from small renovations to large scale developments. Savannah is a forward thinking construction firm offering the advantages of design-build construction to our clients. We have completed numerous turnkey design-build contracts, including site selection analysis and configuration. Savannah’s design-build expertise extends to our client’s needs for on-time and on-budget and we have a proven track record of successful design-build project delivery. As your Construction Manager, Savannah will act as your agent throughout the design and construction phases of your building project, until the day when you turn on the lights in your new or renovated building for the very first time. Savannah will manage details including working with architects to contain project costs, working with contractors to maintain project schedule, processing contractor pay applications, and expediting owner occupancy permits through local and state agencies. Savannah’s Owner’s Representative (Owner’s Rep) Services are similar to our Construction Management Services. Design phase services are identical, yet construction phase services can be tailored to protect Owner interest while minimizing the fee. Construction management services include contract administration, construction coordination, and project controls, while the Owner’s Rep services solely involve project controls. The Owner’s Rep will supervise and scrutinize construction activities and report back to the owner with project updates. This requires one person on the project site full or part time. A construction manager needs one or two other support staff to process all of the construction administration and coordination. You want an experienced construction professional to manage the additions or renovations of your facility. This is often the case with owners who have expertise in-house but staff resources are already maximized. 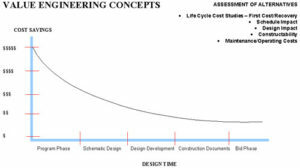 During the design phase of a project, critical baseline decisions relating to budget, form, and function are made. Although the objectives of a project may be clearly established at the outset (i.e. occupancy date, budget, level of quality, etc. ), the means for achieving these results are often vague. The schedule created in-house using state of the art scheduling software is monitored throughout the design phase to ensure that critical decision and design milestones are met. Progress is discussed at each team meeting and alterations to the schedule are made if major changes in scope occur or if tasks are not completed as originally planned. In considering the schedule, elements are reviewed with respect to their impact on the sequence of construction, fabrication and delivery schedules, and the anticipated influence of weather during construction. Using the project schedule and budget, Savannah can establish a preliminary cash flow projection of the required project funds. These costs are the construction manager fee, architect fee, and estimates of construction labor and materials. This cost is dispersed over the scheduled project period. The owner will then have a plan for monthly project expenditures. As the design continues to develop, so does the detailed master construction schedule. This schedule, which highlights activity periods for major subcontracts and material deliveries, may be included in the bid documents as a guide to the contractors when establishing their proposals. 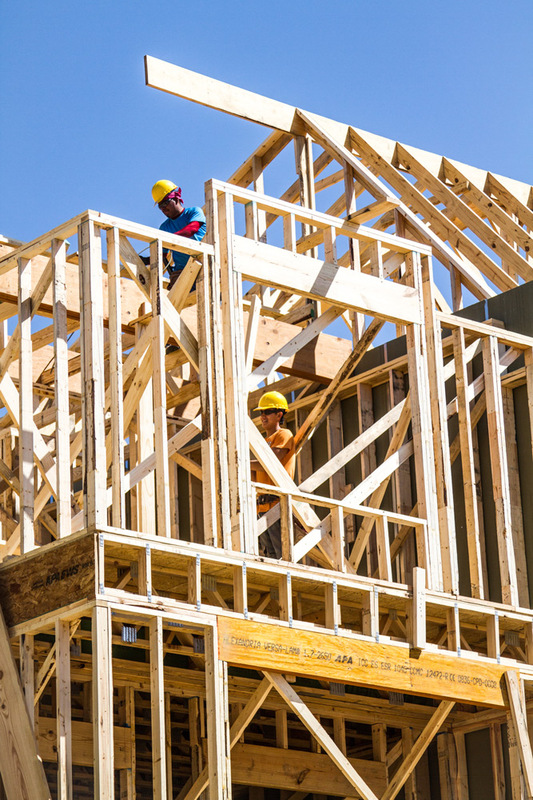 With the owner’s input, we will prepare the construction schedule and monitor daily construction progress and procedures established by the contractors and make recommendations as required maintaining or improving construction progress. The production of an accurate, well-coordinated set of plans and specifications is very important to minimize change orders and optimize field administration. Savannah will perform a constructibility review as a cross check of construction documents for accuracy, completeness, and systems coordination issues. This process occurs after construction documents are complete, prior to Contractor bidding. During this review, we identify potential coordination issues, missed details, time delays, potential liability, and inter-contractor coordination items prior to publishing bid documents. The design team then reviews and implements appropriate changes to the documents. Studies show that an average project contains five coordination errors per contract drawing. A Savannah constructibility review can spot these errors resulting in thousands of dollars of savings in change orders. Reviewing plans and specifications to assess the ease or difficulty of constructing the proposed design with recommendations for practical changes. Reviewing documents for any observed inconsistencies. • Making recommendations for the use of more cost-effective alternative materials or design details. Making recommendations for specification changes when the proposed specifications are likely to limit competition or cause excessive delays in delivery. Reviewing documents for completeness. Comprehensive and accurate documentation results in more responsive and complete bids. The goal is to eliminate all coordination problems prior to the start of construction. Although VE can save clients substantial dollars, it is much more than a simple cost-cutting exercise. When we conduct a VE session, we will evaluate, at a minimum, first cost, schedule impacts, constructability issues, and life-cycle costs including capital, operating, maintenance expenses, energy and systems costs, financing costs, ownership structure, and tax laws. Systems analysis is at the center of the overall VE effort. Typical systems include site work, foundations, structural, architectural, mechanical and electrical, and exterior enclosure. During the systems review, we will make recommendations, which focus on construction feasibility, availability of materials and labor, installation time, associated costs and economies, and the impact on other building components. For each project, a VE team will be established to include the owner, architect, engineer, and the construction manager. Our experience with VE has shown that the best results occur during the design development phase. The team meets at pre-determined intervals to identify alternative materials, methods of construction, and issues affecting the schedule and operations. Each item is evaluated and accepted or rejected depending on the total impact on cost, function, program, schedule, and overall needs. It is sometimes necessary to evaluate the condition and life expectancy of an existing facility. Whether as condition of sale or to determine the value of the facility for consideration of future renovations or additions, Savannah can assist with this important service. Our staff of professionals can help evaluate the condition of these elements of an existing facility such as structural systems, exterior wall and roof systems and mechanical and electrical systems now or in the future. Savannah leaves nothing to chance by working with some of the nation’s most renowned teams of specialists in the select real estate sector. For architectural design that offers style and practicality, our architects create innovative plans that complement their surroundings with enduring individuality and functional flair. With a fresh look at innovative design our designers deliver distinct interiors with their sights set on creating an environment that provides an enriching living experience.